‘‘Open source technologies have played an instrumental role in the evolution of FlockOS,” says Bhavin Turakhia, CEO and founder of Flock. Thirty-seven-year-old Turakhia is renowned for his successful startup innovations in the Indian business landscape with ventures such as Radix, CodeChef Zeta, Ringo and team messenger platform Flock, chose open source to make FlockOS a standout offering. In order to ensure developers build customised apps, bots and integrations on Flock, the product team designed the concept of FlockOS. 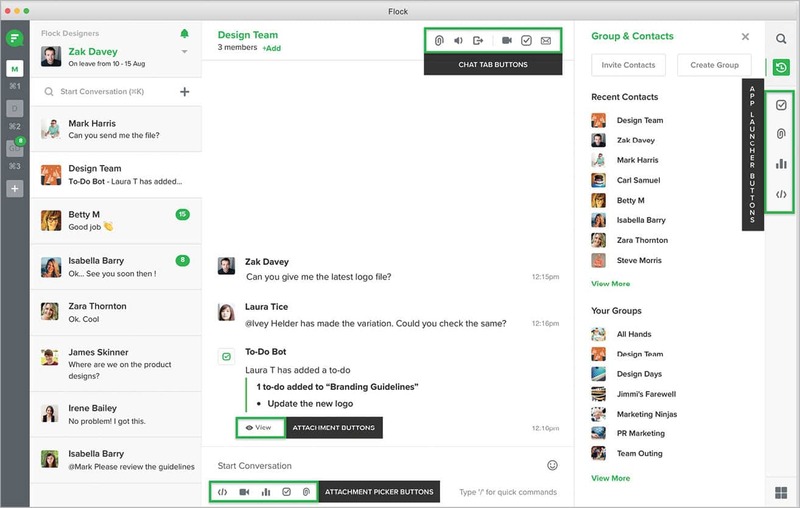 FlockOS helps developers build workspace apps that can be used within Flock, the messaging and collaboration tool. While Flock is supported across all leading platforms — including Windows, Mac, iOS, Android and the Web, its FlockOS requires a standalone platform to allow apps to blend seamlessly with the native Flock experience. “We wanted to build a platform that is extremely powerful, and where apps are treated as first-class citizens. To achieve both the goals, we needed to allow app developers to extend the capabilities of Flock in such a way, that they could show their own customised UI inside it,” explains Chaitanya Gupta, chief technology officer, Flock. Gupta and his small team of engineers initially searched for a framework that could work across platforms. Eventually, the development squad realised that the best fit for fast moving business teams were the Web technologies. “The model we finally settled on was to use iframes on the desktop and the Web, and Web views on the mobile to present an app’s user interface. We also had to work out how the Flock client cloud communicated with the app’s interface and vice versa,” Gupta tells Open Source For You. At the backend, Flock engineers deployed database solutions such as MongoDB, MySQL, Elasticsearch, Kibana and HBase. The company also used JVM to run Java code, while the Apache Spring framework smoothened the overall Web experience. FlockOS uses multiple open source technologies and hence, opens infinite possibilities for scalability. The platform also enables users to access and accomplish all their work-related activities from a single place. “FlockOS allows users to save precious time, which might have otherwise been spent in shuffling from one office Intranet portal to another,” says Ninad Raval, VP- product and design, at Flock. In addition to letting developers build fresh apps on FlockOS, the platform also supports integration with other Web services. For instance, an Uber app on FlockOS lets a user book a cab while chatting with a dedicated team. Buttons can also be a part of the user panel, since they can be meticulously embedded in the interface and act as triggers, boosting app usage. “Apps built using FlockOS can help users complete frequent tasks like setting to-dos, scheduling meetings, conducting opinion polls and reviewing performance dashboards — all from within a single interface,” says Raval. Being an open platform, FlockOS helps developers build customised apps for generating reports, recruiting talent and maintaining meeting schedules, all of which are solutions that could be important at any corporate workplace. Moreover, the apps built on FlockOS help the Flock messaging platform to enhance user experience and seamless communications. “While the FlockOS transforms into an ecosystem of workplace apps, Flock provides the developers its messaging backbone,” says Gupta. Building new apps on FlockOS is a piece of cake for developers. Apps can be built on FlockOS using languages like Java, Python, Node.js etc. “Developers find FlockOS extremely easy to build apps and bots, as well as for integration, using the power of open source technologies,” asserts Turakhia. The Flock team selects open source technologies on the basis of parameters that help developers create an easy and secure experience at workplaces. First of all, the company picks on those technologies that are well maintained and have fixes available for their security vulnerabilities. Second, the team considers only those open source solutions that are well documented. “Ideally, open source technologies should be widely used, since these attract the thriving developer community where everyone helps everyone else. Those who maintain these technologies must be responsive,” Turakhia states. Aman Mathur, a software developer who built a reply app using FlockOS, says it is simple to build apps on this platform, and creating successful integration due to the support offered by the open source community. “As I mostly work on Python, I deployed the same coding language to develop the reply app. It took merely two days to produce the solution,” Mathur says. Mathur’s reply app won the first prize at a Flock hackathon (Flockathon) in January this year. The app helps users access important messages directly from multiple conversations and respond to them with just the click of a button. “The documentation for open source technologies used by FlockOS is detailed and easy to understand, making it simple to build apps and integrate them,” claims Mathur. “Through our Flockathon series, we have been able to reach over 5000 developers globally, and witnessed over 100 apps built on Flock. There are also over 10000 developers who currently use Flock, leveraging Flock’s rich integrations with developer tools to increase their productivity at their workplace,” says Gupta. Mathur is among more than 5000 developers who currently use Flock to build workplace communication solutions and also among those 10000 developers who use Flock for workplace communications. The company considers its Flockathons a significant practice, which helps in educating and creating awareness about FlockOS in the developer community. Flockathons take place at regular intervals, both online and offline. Alongside deploying open source technologies, the Flock team believes in contributing back to the community it essentially belongs to. “We have open sourced our FlockOS SDKs on GitHub. And we intend to open source more of our functionalities in the future,” says Gupta. Repositories related to the FlockOS SDK for Java, Node.js and Python are available on GitHub for participation in other open source developments. These open source contributions will help FlockOS to grow further in the emerging space of Messaging-as-a-Platform, and provide developers a direction to elevate the experience of workplace communications. “The enterprise collaboration market, which is now worth US$ 26 billion, is expected to exceed US$ 49 billion by 2021. We believe an efficient OS mechanism can offer a messaging app the required advantages over its competiton,” concludes Turakhia.